The performance improvement company is a finalist in two categories in the Stevie Awards for Great Employers. 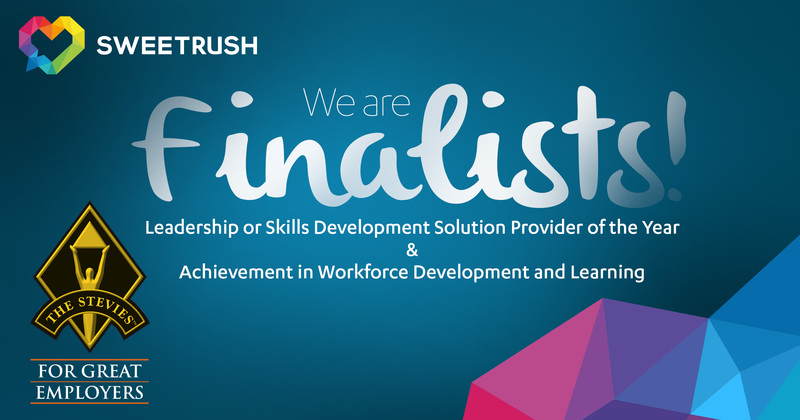 SweetRush will be awarded a Gold, Silver, or Bronze in both categories at the awards ceremony on September 22. In 2016, the company won Gold in the Leadership or Skills Development Solution Provider of the Year category. The Stevie Awards for Great Employers recognize the world’s best employers and the outstanding human resources professionals, teams, achievements, and HR-related products and suppliers that help create great places to work. More than 500 nominations from organizations around the world were submitted this year for consideration in a wide range of HR-related categories. For the complete list of finalists, visit the 2017 Stevie Awards for Great Employers finalists list.